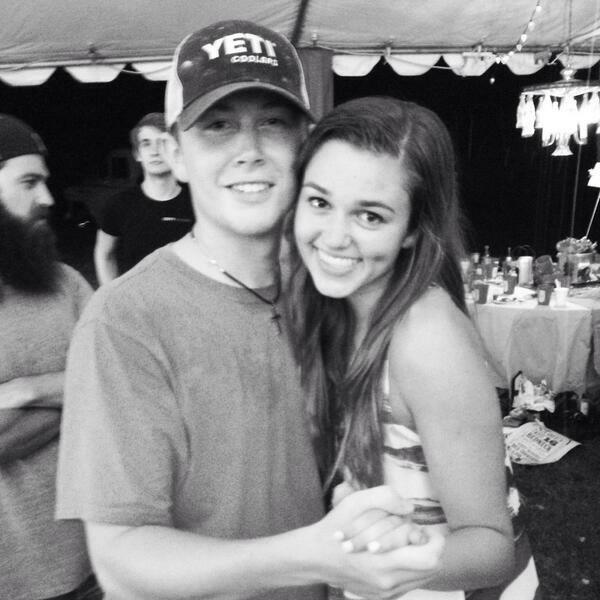 Platinum-selling singer/songwriter Scotty McCreery took a break from his first headlining tour to perform at the Sweet 16 birthday party for Sadie Robertson of Duck Dynasty fame. Before the party in West Monroe, La., Scotty also got stuck in the mud in a truck with John Luke Robertson, Sadie’s brother, and enjoyed the legendary home cooking of Kay Robertson. They talked about her upcoming birthday during their Opry visit, and a few phone calls later, he was confirmed to perform at the “Redneck Red Carpet” party held under a tent at a vineyard on June 17. “I thought it was going to be a surprise at first, but then I figured out that she knew, so Sadie and I talked about what kind of songs she wanted me to sing,” he says. 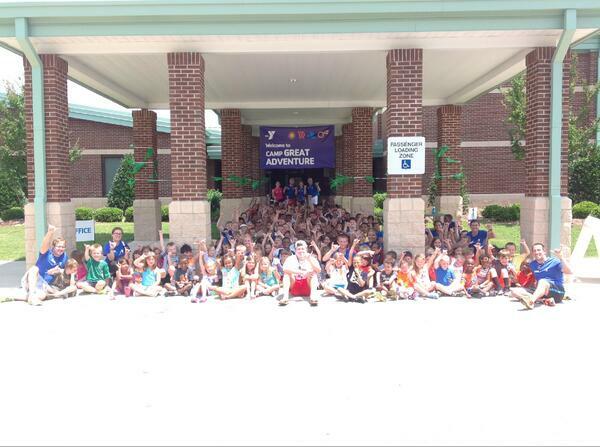 “I was blown away by their hospitality,” he says. “(Sadie’s parents) Korie and Willie said, ‘Y’all stay at our house,’ so we stayed with them for the night. They are just great folks. Scotty is currently recording his second studio album, which is set for release later this year. The project’s debut single, “See You Tonight,” is currently climbing the country charts. The party is featured in the new issue of Us magazine, on newsstands now. Dierks Bentley and Montgomery Gentry headline the concert card that also includes American Idol’s Scotty McCreery. During its three-day run, the program is expected to draw 22,000 to 25,000 people, according to event Director Tim Attea. Dierks Bentley, also making his second concert appearance, heads the July 5 lineup that includes McCreery, the Idol winner in 2011, and Chris Cagle, who returns for a second time. Cagle, a Louisiana native, performs at 5:30, McCreery at 7:15 and Bentley at 9. From Windmills. 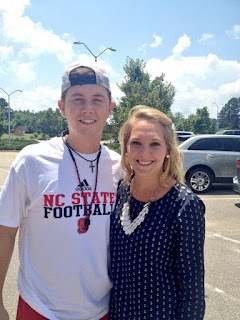 .....A little info about a song Scotty McCreery has cut for his sophomore album. The song is called 'The Dash,' and it's cowritten by Preston Brust (of the LoCash Cowboys, he cowrote Keith Urban's 'You Gonna Fly') & Kyle Jacobs (a.k.a. Kellie Pickler's husband, who also cowrote one of my favorite cuts, 'When The Credits Roll,' on the current George Strait album). The "dash" refers to the dash between the year of a person's birth and the year of a person's death, and the song is an emotional one about how it's what we do in the time represented by the dash that counts. I haven't heard the demo myself but I'm told it's a great fit for Scotty. 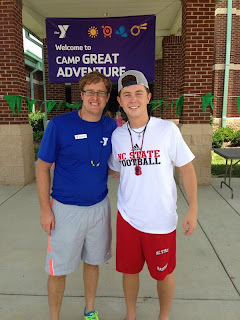 Scotty McCreery Visits YMCA Day Camp, Sings Boom Chicka Boom from YMCA of the Triangle on Vimeo. A special thanks to Garner's very own @ScottyMcCreery for joining us as this week's special guest at Summer Day Camp! Thanks to @ScottyMcCreery for visiting us today at the @YMCAGarner! 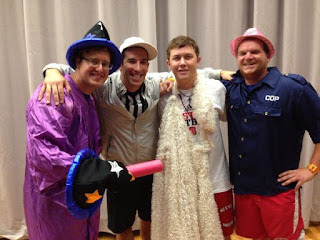 Good work with that skit and song! 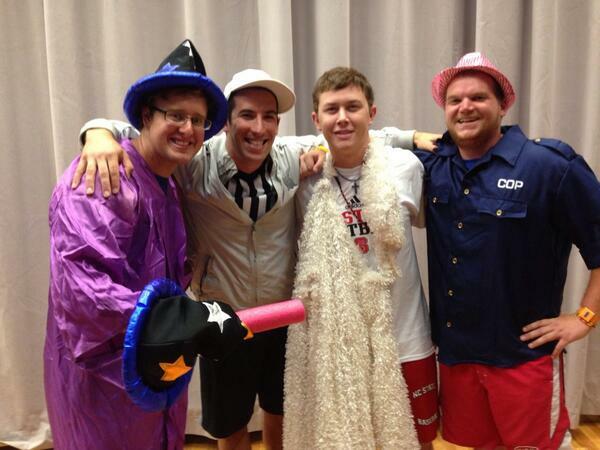 Thanks for coming by @YMCAGarner and helping out with skit time and the song @ScottyMcCreery... You were a hit!